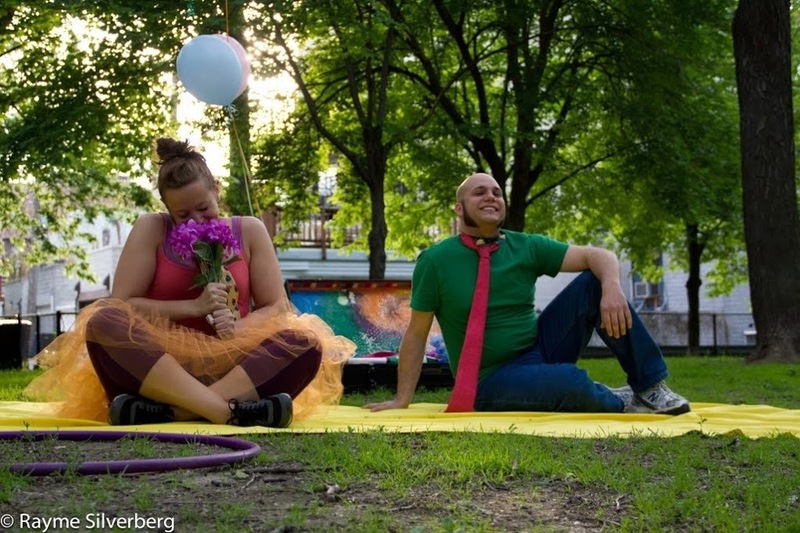 Nothing Without a Company explores movement in the park through a sitespecific story told exclusively under the aegis of live performance, dance, and movement at the Senior Citizens Memorial Playlot Park, a public park on Chicago's Northwest side. Creators/ Directors Anna Rose Epstein and Matt Rudy leave no stone unturned as they charge a variety of themes that are interrelated from our everyday lives. MOVE suggests that, if we allow ourselves to play in the unexpected moments of life, we can make the world exponentially more magical and none of us may ever need to create alternate realities for ourselves. There is magic everywhere, around us, everyday of our life. The shape of the spectacle is developed through an original score composed by Origin Of Animal and multiple dance/movement choreographers that evoke the enchantment of the outdoor setting. With over 30 performers, MOVE examines the ordinary to awaken the extraordinary and challenges the audience to question their own consciousness.